After three months of ‘enforced disappearance’, Huang Kaiping, has been returned to his home in Beijing. Front Line Defenders reports. On 28 January 2015 human rights defender Mr Huang Kaiping returned to his home in Beijing, following a period of over three months’ enforced disappearance. Huang Kaiping is director of the Transition Institute, an independent think tank in Beijing that focuses on economic and political liberalisation. The Transition Institute was founded in 2007 to carry out research into tax reform, business regulation and the development of civil society in China. The Institute was forced to close by the Chinese authorities earlier this year, as they stepped up their campaign of harassment against a number of civil society organisations in China. 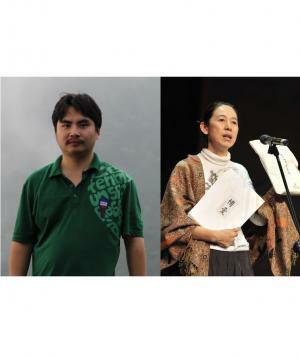 On 10 October 2014, Huang Kaiping was taken from his home by police in Beijing. His family were not provided with any formal notification of his detention during this period, nor were they told where he was being detained, in contravention of Article 83 of the Criminal Procedure Law of the People’s Republic of China. This states that within 24 hours of the detention of their relative, a family member must be notified, except in cases where it is impossible to give notice or in cases involving terrorism or endangering state security. As his place of detention was unknown, lawyers were also unable to meet with Huang Kaiping for the 110 days that he was missing. The whereabouts of human rights defender Ms Kou Yanding, who was taken by police on the same day as Huang Kaiping, remain unconfirmed. Earlier this month, Mr Guo Yushan, the founder of the Transition Institute, was formally arrested on charges of “illegal business activity”. The human rights defender was detained by police on 9 October 2014, one day before his colleagues were forcibly disappeared. For further information on Huang Kaiping and Kou Yanding, please see the Urgent Appeal issued by Front Line Defenders on 10 December 2014.